In the Netherlands, fruit and vegetable wholesaler Postuma has launched a new modern company building in IJsselmuiden that features a processing kitchen leaning heavily on machinery from German group Kronen. 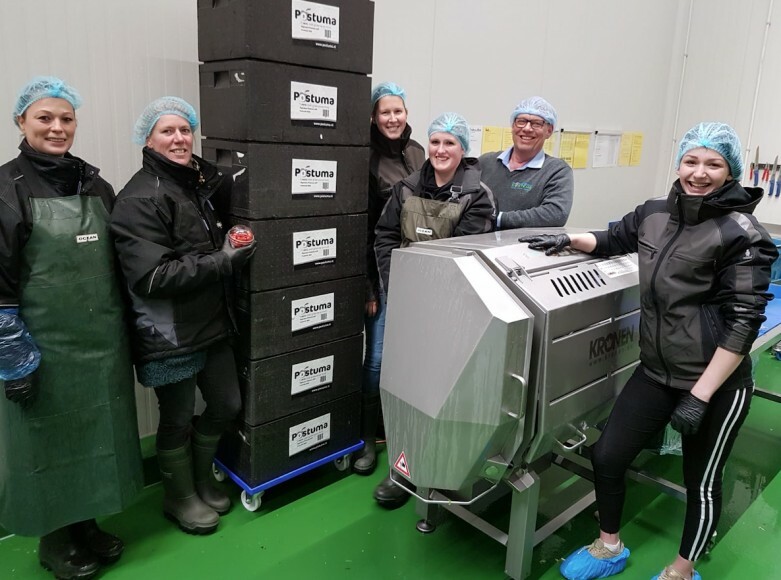 Postuma, a family business serving fresh produce stakeholders like specialised shops and market traders as well as foodservice organisations, is using the new kitchen to deliver high-quality sliced vegetables, utilising technology delivered by Synergy Systems, Kronen's Dutch distributor. The new building was first opened back in December, with the processing kitchen in operation since the beginning of 2019. "Other players in the market cannot deliver the quality we want for our customers," explained project manager Frans Bolder. "By taking the cutting in-house, we have more control over the process." Kronen machinery being utilised in the processing kitchen includes belt cutting machine GS 10-2, washing machine GEWA 3800 V ECO, and spin dryer K50-ECO, as well as several individual machines for cubing, cutting, peeling and other operations.